I got to see Boston (and my dear, engaged-to-be-wed, friends Emily and Jarrid) for a day at the end of my trip out East last week. 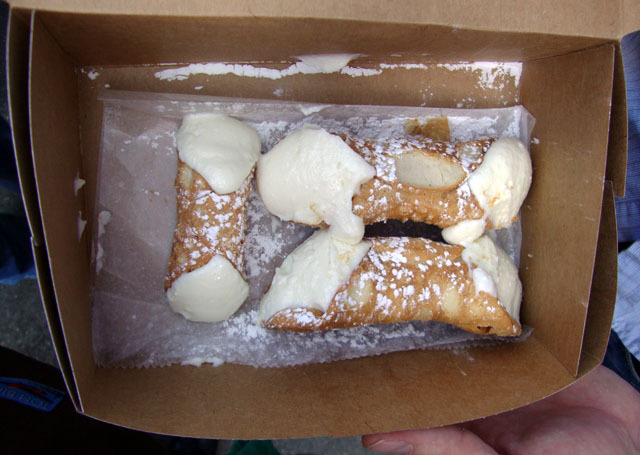 The sun was shining, and soon after walking past the Government Center, I had my first ever bakery fresh cannoli from Modern Pastry. Sweet little fried pastry tubes stuffed with sacchariferous ricotta. In my head were the song lyrics, “Oh that feelin’ inside we’re gonna transmit it to life!” from The Modern Lovers. Here’s hoping for future cannoli transmissions to/from my kitchen. 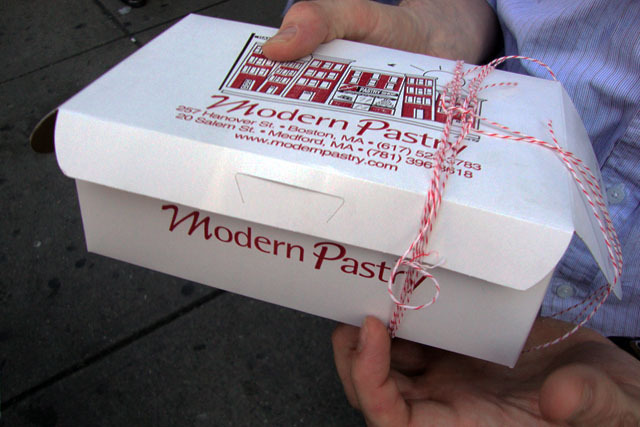 My dad grew up in the north end and my Grampa is 95 and still works at modern pastry. It’s the only pastry shop I know. 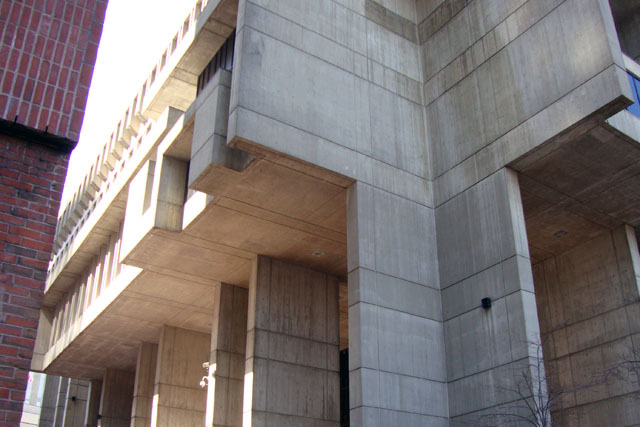 In Boston you’re either a mikes pastry person or modern. Modern is for locals, mikes is for tourists (in my opinion) 🙂 so glad you got to go and enjoyed it! WOW. I am happy to be on the Modern Team any day. Hope I can make it back there in the future. Thank your Grampa for me! thank you so much for the compliment, Lee! Liebster!